How do I Replace a Cable on My Weight Machine? You may be tempted to go out and buy that simple pull-up bar and install it in a doorway, but if you weigh more than about 250 pounds, that could be recipe for disaster. All pre-manufactured pull-up bars have a weight limit, and for good reason. If you weigh more than the recommended amount and you use the bar, you could cause the bar to break or do damage to your doorway or yourself if you fall. 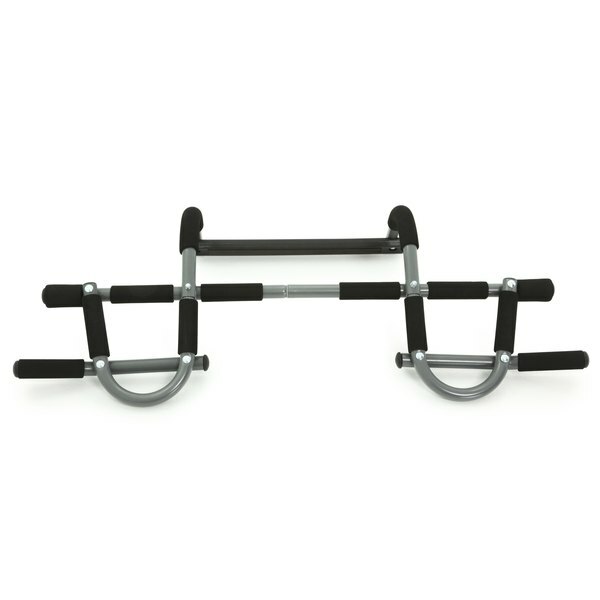 The simplest and often least expensive type of pull-up bar is the telescoping version. This type of bar is placed in the space of a doorway and then twisted until it fits snugly in the door frame. Sometimes, these models also come with a screw-in feature that adds a little more stability, but for the most part, this type of bar relies on resistance to hold it in place. For that reason, it's the type of bar with the lowest weight limit, typically around 250 pounds. If you weigh 300 pounds or less, you may be able to use a door-frame-mounted pull-up bar. These tend to hold a bit more weight than the telescoping models because they hang from the top of your door frame. Naturally, you want your door frame and its trim to be 100-percent secure before you put 300 pounds of weight on it; otherwise, you risk the same potential problems that come with the telescoping models. The pull-up bars that can hold the most weight are definitely the stud or joist-mounted versions. These types require you to bolt a sturdy steel frame to the wall studs or ceiling joists of your home or garage and can hold as much as 600 pounds of weight. If you're putting that much weight on them, however, it's important to check on the structural integrity of your studs and joists, which could require removing sheetrock, or drywall, or other finish materials. If you're not sure of the integrity of your joists or studs, your best bet is to consult a structural engineer. If none of these options work for you, another option is to design your own pull-up bar or get help from a licensed contractor. You can create your own pull-up bar by securing metal flanges and sturdy steel bars to a wall or ceiling, so long as all of the materials are rated to hold the amount of weight you need them to hold. For all pre-made bars and DIY equipment, check the user guide for weight limits or talk to the manufacturer to ensure you're using the materials safely.